Where do old raceboats go? Great places, some of them. 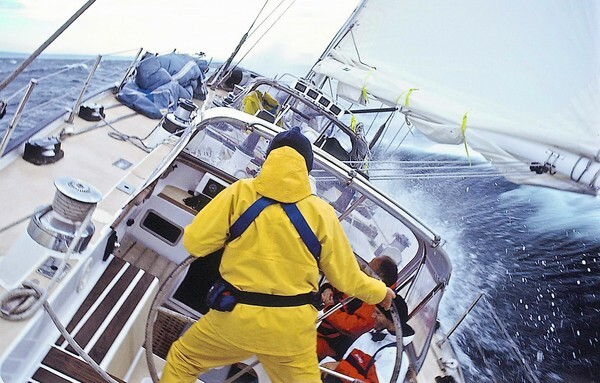 Alaska Eagle won a Whitbread Round the World Race under the name of Flyer, then sailed another as Alaska Eagle before being donated in 1982 to the Orange Coast College School of Sailing and Seamanship. The boat hasn’t been around the world since, but with paying students aboard, it has been as far afield as the South Pacific and Australia, and it has been a regular as the communications vessel for the Transpacific Yacht Race, aka Transpac. Alaska Eagle left Newport Harbor, California last October for Easter Island, then tagged into the Americas again in Chile before rounding Cape Horn on Sunday, February 13 en route to South Georgia Island. 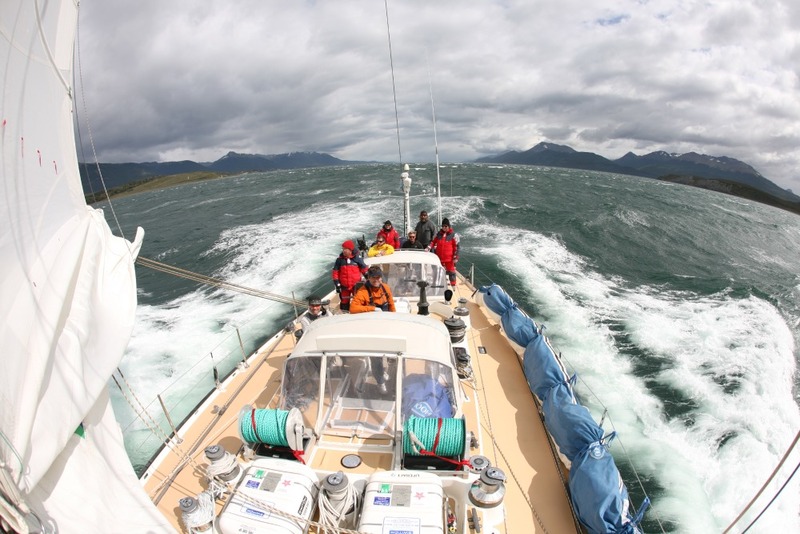 The crew saw some weather, as they say, and the boat was pretty cranked up, even when the weather was “fine” . 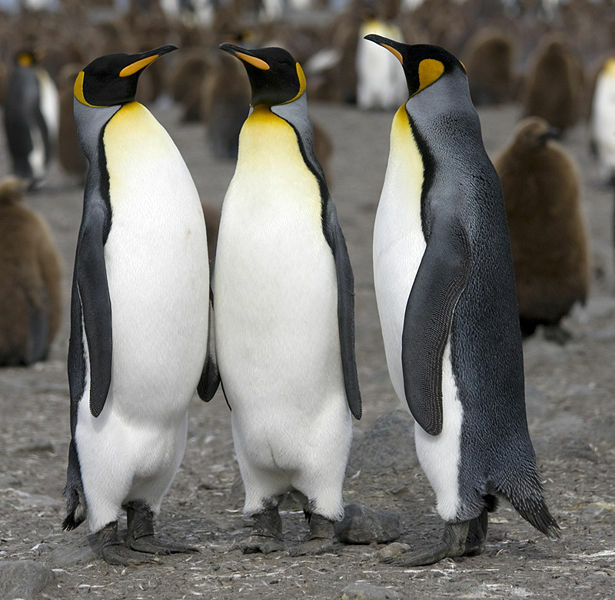 . .
South Georgia ranks as one of the most remote places on the globe—the gateway to Antarctica for Cook and Shackleton—but wouldn’t you know it, the crew was still checking in when along came a jogger wearing an OCC Pyewacket t-shirt ( Roy Disney donated Pyewacket to OCC, which sailed and raced it for a time). And Alaska Eagle shared the anchorage at the abandoned Grytviken whaling station with Wanderer III, a 30-foot Laurent Giles cutter, plank on frame, that Eric and Susan Hiscock sailed around the world 1952-1955 in the first of their three circumnavigations. The Hiscocks pioneered the small-boat, voyaging family lifestyle. For twenty years now, Wanderer III has been in the hands of Thies Matzen and Kicki Ericson, who have spent many of those years exploring South Georgia. 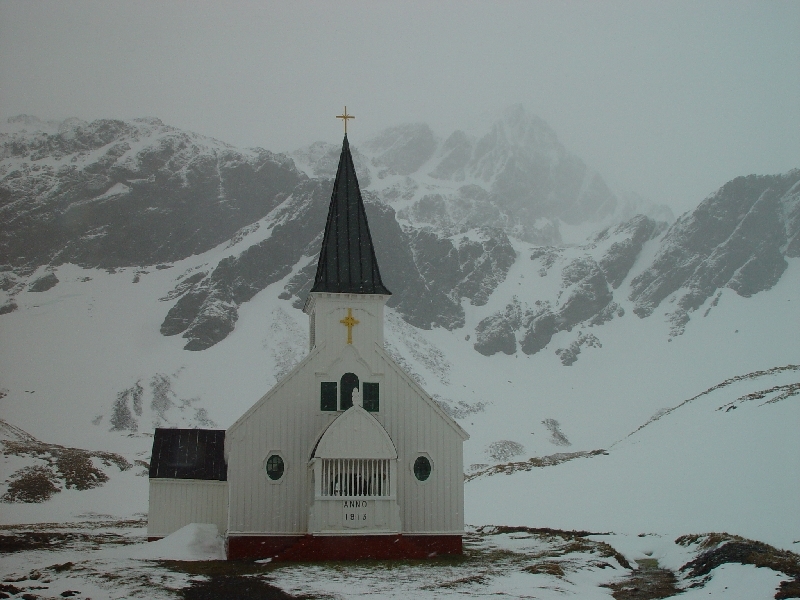 Thies and Ericson were married in the church at Grytviken . . . Ashore, Eagle’s crew clowned in front of the island webcam along with the ubiquitous penguin population, who perhaps don’t even know how famous they are. Eagle will be back in California in plenty of time to accompany Transpac 2011, with student passengers aboard outbound, also for the return crossing—to San Francisco—and then the coastal passage home to Southern California.